In the past, the school determined a college student’s computer options. If it demanded that its students use a Windows PC, a PC is what they got. That has changed now that Intel-based Macs can boot into either Mac OS or Windows XP (or, for that matter, Linux). The only thing left to figure out is which Mac makes the most sense for your student and your budget. How do the three less-expensive models compare as university-bound machines? Here’s how we’d analyze the problem. Pros: Inexpensive; compact; Front Row software; Apple Remote. Cons: Limited hard-drive space; not a great gaming machine. 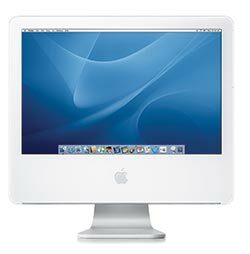 Pros: Fast; big display (on 20-inch model); roomy hard drives; elegant design; built-in iSight camera. Cons: Not portable; not easily upgradable. Pros: Fast enough for most tasks; portable; built-in iSight camera; attractive design; affordable. Cons: Not good for graphics-intensive games; target for thieves; weak speakers. If you can prove that you’re a student, you can take advantage of great deals for your Mac. But caution: These discounts end soon. Buy a Mac, Get an iPod Apple is currently offering a free iPod nano (via a mail-in rebate) when you buy a new MacBook, MacBook Pro, iMac, or Power Mac G5. The offer ends September 16. Office Hours Trying to get you hooked early, Microsoft is offering a $50 rebate on its Office 2004 Teacher and Student Edition (regularly available for $150). The offer ends September 12.